Accountability We are a small local shop. When you are at Walkerworks, you are dealing directly with one of the owners. It’s business, but it’s also personal for us and your shopping experience will reflect that. Professional Service & Products We are both designated as a Certified Picture Framer® . This is not just a title we gave ourselves, we actually studied and took a test that we passed and every 4 years we re-certify to keep this designation. Follow Through The Certified Picture Framer (CPF) (that would be either Amy or Jimmy) who designed your job with you will be the one completing your job. Walk or Bike to us! Our shop is bike and pedestrian friendly with easy access for bike and foot traffic. The bike paths at Poole Creek are right around the corner and the Trans-Canada Trail is just a few blocks down Main Street. Your Piece Stays Here If it is being framed, your piece will not leave our shop. It will stay safely put away in a drawer until it is framed and brought home by you. (We bring items for plaque mounting to another Ottawa company). 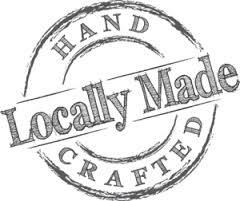 Experience We have been in business for a long time and proven that we have the knowledge and skills to excel in our industry. We know what we are doing from years of hands on experience. That said, we are always learning new technologies and practices that make what we do even better. This means staying in touch with the latest “best practices” in the picture framing industry by being members of the Professional Picture Framers Association and benefitting from the education and resources that this offers. The Latest Mouldings are Here! 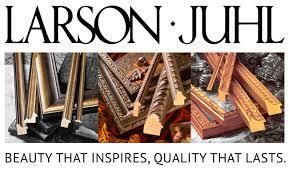 We are a partner of Larson Juhl, the World’s Largest Moulding Supplier. This means that we do enough business with them that we are amoung their preferred clients. This means that we get the latest and greatest moulding samples in as soon as they come out, amoung other benefits. Options Galore We have over 1000 framing mouldings to choose from: all of Larson Juhl‘s full line, plus Roma Moulding and Tripletouch Moulding. If you are looking for that particular frame, we have it! Ownership of the whole process We cut our own mats and can make our own frames… mounting & assembling and finishing everything ourselves. This means that we have complete control over the finished product. Awesome Designs With our creative backgrounds, including degrees in the visual arts, and our years of experience in the industry, we have the talents to design truly spectacular framing packages for you. Computerized Mat Cutter We have a computerized mat cutter, our “Wizard”. With it practically anything you can imagine is possible: multiple window mats, intricate designs, letter mats & cut art mats, embellished mats with embossing or pen stylings and mats with writing on them, to mention a few. We keep a visual record of every job we do With our iphones, we take a picture of each job we complete and save it in your work order for future reference. We also upload our images to our Instagram account which posts onto our Home Page as well as onto our Facebook page. On-site Wood Shop With a fully functioning wood shop, we can do things that other places simply cannot. We can do simple things like turn around a frame job (with in stock materials) in a few hours, rejoin a broken frame (we NO LONGER will rejoin your polysterene frames….sorry) or make your old frame smaller to fit something new. We can do other things like trim down a moulding in a stacked frame job to show less of it, or increase the rebate in order to cover more of the artwork (because it isn’t square or for some other reason), or router out a hole to slide a calendar into. Jimmy is Here! Jim’s a wiz in the wood shop. Not only can he make our own frame moulding if the job calls for it but he can make custom mounts for specialty items (knives, guns, hats, violins, etc.) out of wood and metal. If you can imagine it, he can do it. Things like a lighted shadowbox designed to fit into a client’s bookcase, deep triangle flag shadowboxes made from scratch, a display box that opens to hold a special rosary… or stacked and pocket-hole joined moulding to make a shadowbox deep enough for a teddy bear. 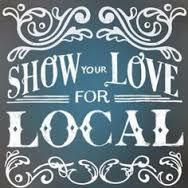 Artist’s Discount We offer 10% off our custom framing to all artists, including our child artists in the community. We get it done We frequently work after hours, especially at Christmastime, in order to complete your job in a timely fashion, while still maintaining our high standards. 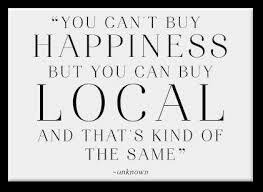 Owned & Operated by Stittsville Residents Shopp ing at Walkerworks is shopping locally. 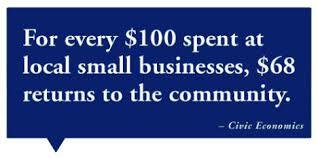 When you support us, you are supporting the community of Stittsville and the City of Ottawa. 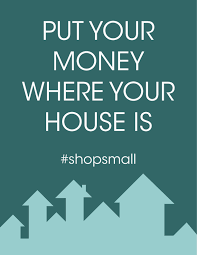 Money that you spend with us helps in maintaining and beautifying our little corner of Stittsville Main Street, which in turn makes YOUR neighbourhood a better place to live. You Know us! We are your neighbours. Your kids might go to school with ours, we may have met at the hockey/ringette arena, the swimming pool, the soccer field, through Girls Guides or Army Cadets. You may know Jimmy from his many years of volunteering on the bench staff for kids’ hockey teams. As your neighbours we will treat you, well, like a neighbour. We want you to be happy with your experience at Walkerworks, we want you to come back with your next item that you need framed, and we want you to recommend us to your friends. Your Friends & Family Know us! Your smartest friends and neighbours are already are clients! We go out of our way If you cannot make it in to pickup your finished piece, we offer to bring it to you, free… because we are your neighbours. We Give Back We like to give back to our community. We donate our framing to many Silent Auctions and Raffles.